George Upperton is a typical Regency gentleman with that period’s typical problems and faults. He owes too many markers, his mistress has informed him she’s pregnant, and his mother’s hauling him off to a weeklong houseparty intending to find him a bride. George goes mainly to escape the former, figuring he can handle the latter. His plans for revenge are set aside however, when he saves Isabelle Marshall’s son Jack from drowning. He’s surprised at her negative reaction. What George can’t know is that Isabelle has come down in the world because of a man much like he. Attracted by Isabelle as much as by young Jack, George finds himself returning to see the two at their village cottage, not realizing he’s taking the first steps toward courting someone her own family deems at the very bottom of the social ladder. However attracted she may be to George, Isabelle has her secrets and she doesn’t share. She refuses to tell George anything about Jack, his missing father, or her background. Just as George gets Isabelle to drop her defenses the least bit, things take another turn. Jack is kidnapped. In the following search for the missing child, George learns Isabelle’s father is the Earl of Redditch, the man he’s sworn revenge against, a man who turned out his own daughter rather than let the scandal of her seduction touch his family. With that discovery, George also learns something about himself, as he admits he’s fallen in love with Isabelle. Jack’s rescue as well as the discovery of his father’s identity bring to light an abundance of shocking truths in a startling and unexpected manner. Though a sequel to A Most Scandalous Proposal, this novel is so fully characterized it can be considered a standalone. It’s a sensual romance, filled with the witty dialogue one expects from a Regency novel, and a plethora of enjoyable characters. 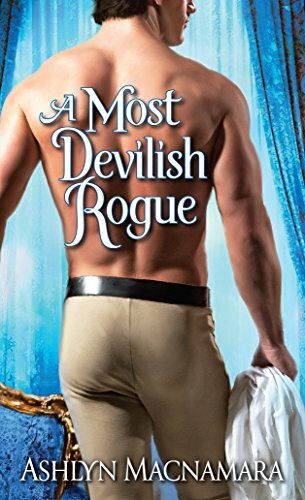 In the end, George turns out not to be the Most Devilish Rogue of the title. That epithet is left to Isabelle’s seducer. George becomes the most honorable and kindest gentleman of all.